The IQQI Arabic Keyboard developed by IQ Technology has launched a new and unique special effect function. With the tap of each keystroke, sensational sounds and light effects will simulate a lightsaber action, allowing users to join the rush of Star Wars while typing on their phones. Additionally, on New Year's Eve, users can experience firework effects on their phone while sending New Year’s wishes to their family and friends. Are you jealous of Jedi Warriors battling with their lightsabers? IQQI Keyboard has crafted a theme from Star Wars with special sound and visual effects, which appears with different colors and buzzing sounds of lightsabers. If you call yourself a Star Wars fan then do not miss out on our coolest Lightsaber Theme! 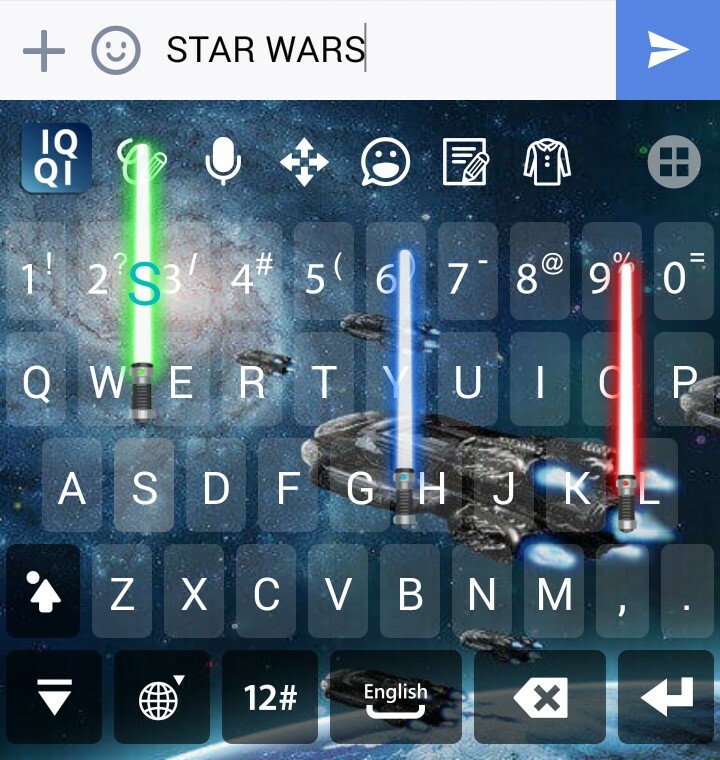 ▲ Load this dynamic Lightsaber keyboard, and release the force on your phone. 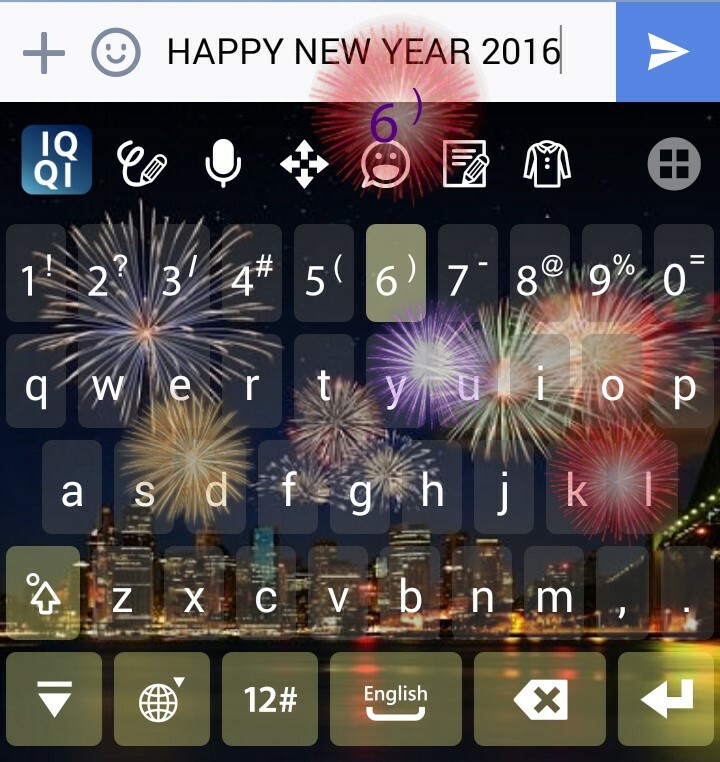 As we say goodbye to 2015 and celebrate the 2016 new year, no matter if you plan on watching the fireworks show during the New Year’s countdown, or party all night long with your friends while celebrating the coming of 2016, download and use this free fireworks theme for IQQI Arabic Keyboard and experience the spectacular fireworks effects while sending messages to love ones and wish them a happy 2016! 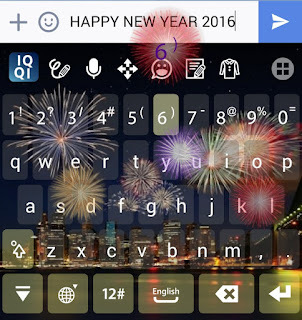 ▲ Use our Fireworks keyboard and wish your friends a Happy New Year. Following the release of the Lightsaber and Fireworks keyboard themes, IQQI will continue to publish various designs of keyboard themes according to different holiday and festivals. In addition, we will also cooperate with various companies to release new themes for the company brand and product marketing events.